We recommend registering early for all classes and activities. Classes must meet a minimum enrollment. If the class minimum is not met, classes will be cancelled. A full refund will be given for activities cancelled by the City. Class fees will not be pro-rated or credited for missed sessions. The City reserves the right to cancel activities, substitute instructors, change locations, and/or dates and times as necessary. In the event that a class has changed, the City will make every effort to contact all registered participants and provide a make-up class or a credit in the amount of the missed class, if a make-up session is not available. All requests for transfers and/or refunds must be requested (5) business days prior to the class start date. A 20% processing fee will be deducted from all refunds. Requests for refunds or transfers made within (5) business days can be emailed to Classes@TemeculaCA.gov or by calling the Class Hotline at 951-694-6480. Requests for refunds or transfer for swim lessons must be requested from the Aquatics Office (2) business days prior to the first lesson date. If a participant is dissatisfied with a class, they must send an email to the Community Services Department at Classes@TemeculaCA.gov or class the Class Hotline at 951-694-6480 prior to the second class to request a credit that can be applied to another class in the future. Refunds will not be given for classes after the start date. If a participant is unable to continue in a class after the class has begun due to a health issue, a medical excuse must be provided to obtain a credit that can be used to retake the class or applied to another class in the future. Charges for classes attended will be deducted from the credit. If an activity or class you are interested in becomes full, we recommend enrolling onto the waitlist. Waitlist enrollments can be processed using the online registration system. If space becomes available, participants on the waitlist will be contacted in the order that they were received. Class waitlists are reviewed on a regular basis to determine if additional class sessions can be added or class sizes can be increased. Please be advised that all participants involved in any City program or event are subject to being photographed. Such photographs may be used by the City of Temecula without obligation to provide compensation for those photographed. 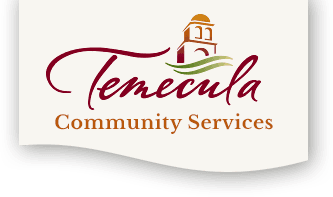 The City of Temecula understands the need to provide access to public facilities and services to those qualified individuals with disabilities. Call or email the Class Hotline with any requests for accommodation at least 14 days prior to an activity or class.